Thank you for making Kokilaben Dhirubhai Ambani Hospital. 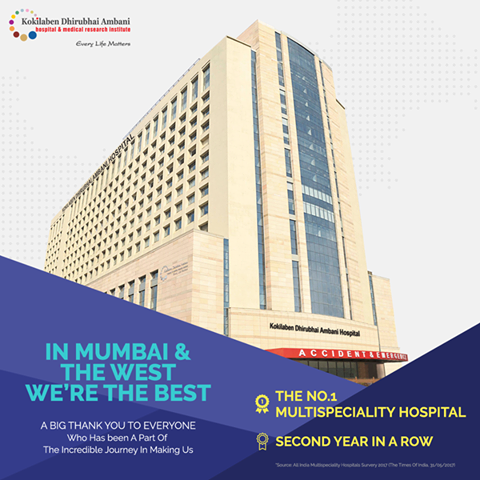 the No.1 Multispeciality Hospital in Mumbai and Western India! We express our deepest gratitude to those who have been a part of this journey. We shall strive to enhance our facilities and care, and continue providing quality healthcare services.